The other day, we interviewed the multi-talented Nilesh Rathod, the author of the recently released 'Destiny of Shattered Dreams'. 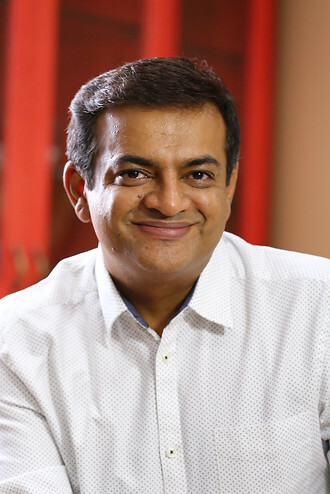 - Born in Bangalore, brought up in Pune… I pursued my graduation in commerce and I ama Chartered Financial Analyst by education.I co-founded Ensemble Infrastructure India Limited in the year 2002 which, now employs over 2000 personnel. It has successfully delivered thousands of contracts including offices, hotels, hospitals and retail spaces. · Rupa has published many best-selling authors from Chetan Bhagat to Ravi Subramanian. Can you tell us briefly about your experience with your publisher? - They’ve been extremely co-operative and it has been an amazing experience working with Rupa. These days there are many desi authors writing in English.What do you think is your biggest USP when compared to your contemporaries? - English has been a primary language for Indians since the British era. However, of late the spread of language a lot of new authors are emerging and some of them have transcended borders when it comes to their quality of writing. Authors like Jhumpa Lahiri, Amitav Ghosh bring pride to us. Writing is a creative art and doesn’t often need to follow a USP. In my opinion most genuine authors who know their trait simply write and their USP’s are cultivated by readers’ responses. Destiny of Shattered Dreams is a story of a middle class boy who pursues his dreams and gets caught in the embroil of modern day politics. The story is his take away of life as we live it today. When do you write and have you ever experienced writer's block? - I am going through one. I wrote my first novel within a month of starting to pen it, I spent double that time to just write the headers for the sub-plots, but once I got to writing, I was done within a month. I am a lazy researcher too; on the contrary research beyond a point is a road block to creativity. My first way to deal with a writer's block is to take a break, may be a day or two or even a week. I keep thinking and re-thinking about the scenarios without really penning them down. If I do get a break through, I start again. Reading another book or two within that break can help erase the block sometimes. And if nothing works, I simply force my way through the story, it might read bland or may sound timid when you do that, but remember it’s a small part of the story and there is always an edit option. Apart from writing,what are your other hobbies? - I love to read books..! c Amitav Ghosh,Salman Rushdie,Chetan Bhagat;who is your favorite among these three Indian writers? Which one do you think is his best work till date? · Indian Writing in English has truly come of age. What is your take on the future of the English language Fiction market in India? - India is a country that widely uses the language while, fiction books are pure entertainers. It shall evolve with time and grow further with increasing competition. We are also living in an era when every author blogger wants to be a published author.Do you think this as a healthy trend? - Ya... Why not..? If there writing styles are better than the existing ones, I definitely think it’s worth giving a shot. Okay, one last question.I know it’s a little dumb to ask this,but still... You want to be remembered as a bestselling author or as an award winning one? - For now I’d want to be a bestseller. Maybe when the next book hits the market, I’d aim at becoming an award winning writer J But, more than anything else I’m happy to see my novel being loved by the readers..